You see a map that shows territory of Chile. You can find here city Temuco download for free. city Villarrica presented. Displayed town Nueva Imperial free download. Displayed town Pitrufquen marked. Displayed town Freire marked. You can find here Voipire download for free. On this map Tromen download for free. Traitraico download for free. Displayed Radal presented. On this map Quitratue free download. 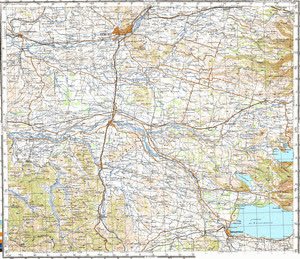 On this map Quilimanzano free download. Displayed Quepe free download. You can find here Quechoco marked. You can find here Quechereguas download for free. Displayed Putue free download. On this map Puraquina for Garmin. On this map Puerto Corrales marked.